Islington Mills in Salford is fast becomingthe venue for hot-to-trot unsigned acts and less-mainstream sounds. LA band, Baths is going to be at Islington Mills, alongside Austra's DJ set. 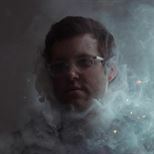 Baths is the big name in electro music. If, like me, you spent your student life listening to music through speakers which annoyed the neighbours, and spent too many afternoons in your bedroom with your friends as opposed to studying in the library, you'll have probably heard their sound via YouTube, Soundcloud, or Tumblr. Their sound is a common at student house parties, underground raves, and after-parties. So, if you're a bit of an electro raver, dance head, or general pop music lover, Baths might just be up your street. Tickets cost £8.00, and it sounds like it will be a better evening than hitting a standard club, where you'll pay the same amount. You'll be standing, so wear comfortable shoes, and get ready to jump.